I’ve been to the Rijksmuseum – beautiful painting (& poem). Is it the ‘milk of human kindness’? And you, you….you, you utter…. 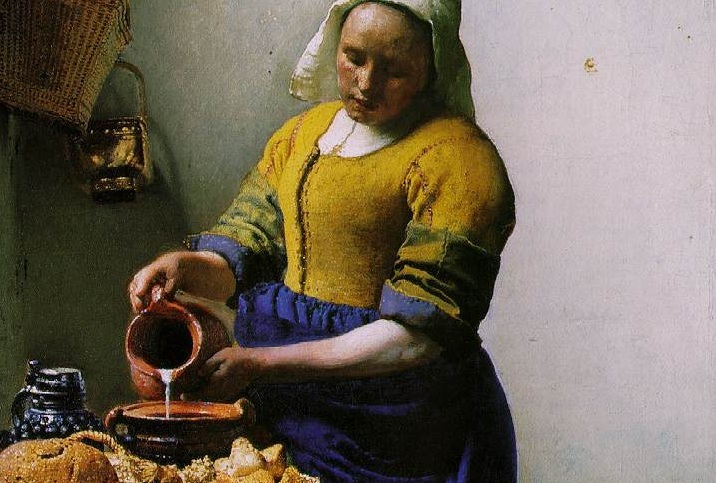 I have, in the past, enjoyed the study of Vermeer’s paintings. I really relish in the capturing of everyday life he has whilst still expressing much more than the casual eye can see. And now to have the simple yet deep poem to lay near it all is wonderful!